South Africa has been urged to invest heavily in the development of a skilled high-performance computing generation, to avoid missing out on the opportunities of the Fourth Industrial Revolution (FIR). Addressing delegates at the annual conference of the Centre for High Performance Computing (CHPC) in Cape Town today, the Director-General of Science and Technology, Dr Phil Mjwara, said that the core of the Fourth Industrial Revolution was the emergence of cyber-physical systems, based upon our ability to collect massive amounts of data, manipulate and analyse them efficiently, and transfer them fast and securely. Quantum technologies have the potential to realise this vision, and drive breakthroughs in many sectors, providing speedy results in health, weather and transport, among other areas. Quantum computing functions differently from conventional computing, harnessing the speed and behaviour of atoms to perform seemingly impossible calculations. However, scientists worldwide have yet to reach a point at which a quantum computer beats a conventional computer on any commission. 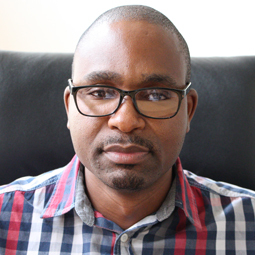 Dr Mjwara said South Africa was at the forefront of the development of the first real-life implementations of quantum cryptography, and was now spearheading the field of quantum machine learning. In addition, most big players in the IT sector were exploring the potential of quantum computing, and a vibrant start-up scene was emerging globally. The past few years have seen the first quantum computers (noisy intermediate-scale quantum computers) made available in the Cloud by established IT companies like IBM and Alibaba, as well as start-ups such as Rigetti and D-Wave. As digitisation disrupts society ever more profoundly, concern is growing about how it is affecting issues such as jobs, wages, inequality, health, resource efficiency and security. "While these are extremely complex challenges, analysis suggests that digital transformation has the potential to make a positive contribution, if we can get certain things right," said the DG. The Director-General said South Africa needed to create a workforce for the machine age, build trust in the digital economy and encourage a paradigm shift in industry. "To exploit the opportunities of the digital transformation, companies will be forced to rethink and innovate their production processes. They will have to find ways to integrate data, cloud computing, robotics, 3D printing and simulation, among others." South Africa has made significant investment in cyberinfrastructure over the past 10 years. The establishment of the National Integrated Cyberinfrastructure System (NICIS), managed by the Council for Scientific and Industrial Research, is central to this investment. Its pillars are the Data Intensive Research Initiative of South Africa, the South African National Research Network and the CHPC. Through NICIS, South Africa is growing a robust, competitive and sustainable national platform for cyberinfrastructure provision, research and innovation, and human capital development. Its main purpose is to provide high speed connectivity, data storage and management services for researchers to be able to perform cutting-edge research and remain competitive. Welcoming delegates, the CHPC Director, Dr Happy Sithole said that, with the successful uptake of cyberinfrastructure in many African countries, the debate is now about how to make the most of the facilities. Projects in Africa such as the development of radio astronomy, solving health problems through bioinformatics, understanding climate change, and preparing for the FIR will rely heavily on big data processing. Dr Sithole said the conference programme addresses technological challenges and advancements, and possibilities for transforming and broadening the high-performance computing ecosystem. Topics include astronomy, computational chemistry, and earth systems modelling, including ocean and environmental sciences. Leading technology companies are exhibiting at the annual CHPC conference from 2 to 6 December, showcasing their latest technology solutions. A highlight will be the 7th Student Cluster Competition, which will see 20 students from South African universities vie to win a place at the international supercomputing competition in Germany next year.